Used server racks could contain (small) traces of usage such as scratches and/or (small) dents. Need a serverrack with different dimensions ? Here you can configure your server with 3 years warranty. In the block "current configuration" on the right you can see your current configuration. Click the printer icon in the block "current configuration" to print. If the desired configuration is not available, you can always contact sales department . All servers and worksations come with 3 years warranty! 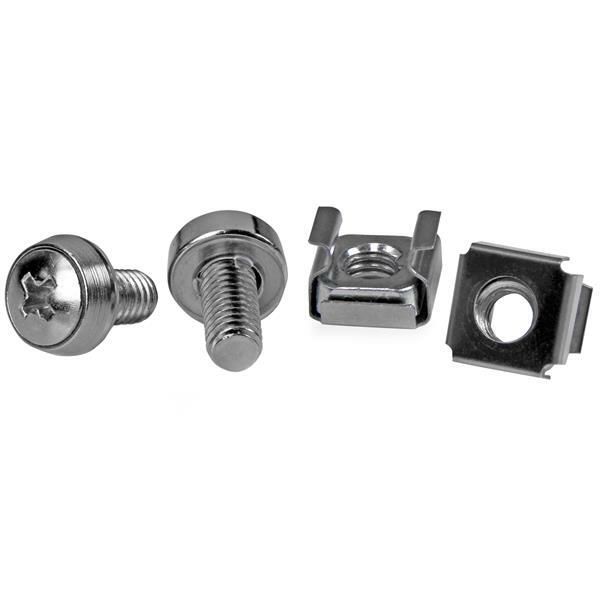 x Box of 50 M6 (M6 x 16mm) captive cage nut, bolt & washer to mount rack fillers, switches, etc. * Alway make an appointment for collection!. All goods must be paid before delivery. Delivery ex Warehouse in Harmelen Netherlands. All prices shown are excluding VAT. | Images may vary from the actual product. Copyright © 2011 - 2018 | 1000Servers.com, All Rights Reserved.